Abstract | When in 2011 a world-leading IT company expressed the intention to locate its infrastructure in the Swedish city of Luleå, this announcement immediately triggered future scenarios and visions of a new industrial era, economic prosperity, and changing urban life. Such anticipation was supported and shaped by municipal planning and business-management activities that soon materialized in the form of building sites, regional development strategies, and new markets. Since the actual name and operations of the IT company were kept entirely secret, the planning and implementation of “Project Gold”—as the data centre project was called locally—was as much driven by collective imaginaries as by hard facts or past experiences. This article is based on an ethnographic study that followed the implementation of Facebook’s first European data centre in Luleå. The paper analyzes different modes of data centre infrastructural (in)visibility and shows how imaginaries became influential both for implementing the cloud in Luleå and for shaping the anticipated time and space of “post-extractive modernity.” More specifically, the paper focuses on socio-technical preconditions as well as concrete practices and styles—technologies of imagination—enabling those imaginaries. “You know, when Swedish mayors dream, they usually dream of IKEA opening a store in town. However, there are more than 30 IKEAs in this country but there is only one Facebook—here, in Luleå!” (Interview, April 2014). This is how Karl Petersen, municipal commissioner (or as he called himself, “a mayor”) of Luleå, an industrial town located near the Arctic Circle in Sweden’s North, introduced me to his municipality’s most ambitious industrial development project ever, a Facebook data centre. Petersen admitted to having been ignorant of IT infrastructural needs before he was contacted by the Luleå Business Agency with the idea of selling the Nordic cold to the cloud industry. He was proud of having realized in good time that “the cloud has a big future because data centres are needed all over the world and they need to be cooled” (Interview, April 2014). This business idea, unconventional for a Swedish municipality, led to unexpected success when the world’s largest social-networking service announced its decision to locate its first European data centre in Luleå. Facebook’s announcement made Luleå known in Sweden and abroad as a place “where the cloud hits the ground,” as my interlocutors would put it. It also brought overnight fame to the municipal commissioner and his colleagues. Among the countless interviews and news reports that resulted from a frenzy of nation-wide and even global media attention, a cross-promotional video entitled Swedish Thinking: Journey to the Node Pole featured Petersen himself speaking out for his town’s and the region’s ability to create benefits from a harsh Arctic climate and peripheral geographical location. Praising this ability of “getting more from less” as a national character trait, the commercial made it clear that the mayor’s dream was directly linked to economic developments and collective visions going far beyond personal aspirations and the boundaries of Sweden’s northernmost county, Norrbotten. Figure 1. Luleå’s municipal commissioner Karl Petersen, featured in a video promotion for Volvo and the Node Pole. Petersen’s Facebook project introduced a new industry to the region and also directed the attention of global IT infrastructure providers to Sweden as a key European location for cloud infrastructure. This development was in line with the Swedish government’s plan, laid out in the Digital Agenda for Sweden, to turn the country into one of the strongest IT nations worldwide, and consequently triggered anticipation of a new industrial era grounded in the vision of an upcoming post-extractive future. Figure 2. Facebook thumb in the lunch room of Luleå Business Agency, photographed by author, April 2014. This essay investigates how the global cloud materializes in a particular socio-cultural context. Based on an ethnographic study of Facebook’s data centre implementation in Luleå, the paper shows how this large-scale infrastructural project forms part of an “economy of anticipation” characteristic of the temporal politics of today’s (digital) capitalism (Cross). It also demonstrates how in the course of locating the cloud, national territories are reconfigured, new subjectivities and bodily experiences are enabled, and local future scenarios are reshaped by means of anticipation and imagination. Focused on the everyday infrastructure-making processes, this study engages anthropologically with questions of location of power, agency, and practice in IT economies. I have followed the planning and implementation of Facebook’s data centre over a period of almost two years. Due to the complexity of large-scale infrastructural projects and because of the data centre’s difficult accessibility, my fieldwork activities did not aim for long-term research stays at single sites. Instead, it consisted of various “polymorphous engagements” (Gusterson)—that is, of multi-sited interactions around Facebook’s Data Center project in different institutional and industrial contexts, engaging with diverse expert cultures, discourses, humans, and technologies. This included, for instance, interviews with regional and national decision makers, municipal employees, data centre engineers and managers, and representatives of industrial organizations such as Data Center Dynamics; observations at data centre building sites, at IT-related industrial and public events, and participation at conferences; and analysis of local and international media and political documents such as maps, regional development programs, and national IT strategies. Situated within the interdisciplinary field of infrastructure studies, this paper investigates Facebook’s data centre as an aspect of cloud infrastructure. As such, a data centre is more than just a piece in a functional technological system, it is a contested and fundamentally relational techno-social configuration (see Hu; Larkin; Dourish and Bell; Parks; Starosielski; Bowker et al.). The concrete strategies and practices of localizing the cloud are here understood as a form of infrastructuring (Niewöhner)—a continuous bringing together, relating, and coordinating of technologies, communities of actors, organizational structures, and moral values. A perspective on infrastructuring emphasizes the complexity of work inherent in infrastructure-making processes. The infrastructuring of the cloud will mostly be described from the perspective of local authorities and experts, including politicians, business developers, consultants, municipal city planners, architects, and environmental and IT experts. Acknowledging the differing tasks and concerns of these actors regarding data centre implementation processes, and contrasting such concerns with Facebook’s own corporate interests when it comes to infrastructural secrecy and controlling (in)visibility, I analyze some of the cloud’s local social effects. According to Jamie Cross, large-scale infrastructural projects form part of a global economy of anticipation characteristic of contemporary capitalism. These economies are underpinned with an abundance of dreamed-of futures in relation to which the present is constantly renegotiated (Cross 8). Infrastructural projects represent arenas of fantasy and desire; they are affective spaces “in which the lived sensation of future prospects can seize bodies, persons and selves” (Cross 9). Accordingly, I understand the Swedish Facebook data centre and infrastructure in general as such an object of fantasy and desire that provokes a “sensing of modernity” (Mrazek)—that is, aspirations and expectations of a new time, “a process by which the body as much as the mind apprehend what it is to be modern, mutable and progressive” (Larkin 337). The reconfiguration of territories and subjectivities that results from cloud infrastructuring thus includes not only material and bodily but also imaginative entities (Harvey 17). Imagination—understood as a practice of synthetic knowledge production, “the bringing together of diverse forms of appearance and the ability to relate them” (Sneath et al. 11)—is thus inherent to processes of infrastructuring and the social transformations such processes enable. In what follows, the focus is on different actors’ attempts to realize imagined futures and on the frictions resulting from the collision between differing visions of what such futures might entail. Hence, an ethnography of cloud infrastructuring allows to identify what Sneath, Holbraad, and Pedersen call “technologies of imagination” or the “specific material and spatial means by which particular imaginings are generated” (6). In the case of Facebook’s Swedish data centre, such technologies of imagination were instrumental for connecting industrial materialities and corporate images of the cloud to locally situated ontologies, experiences, and historical horizons of meaning, and for shaping the glocal geographies of the cloud as a space of anticipated post-extractive modernity. Cloud technologies are objects of popular imagination and corporate marketing. In order to understand how particular technologies of imagination become instrumental for local processes of cloud infrastructuring, it is therefore necessary to inquire how the cloud is being branded by IT companies and represented in popular media. Furthermore, how do these popular images of the cloud relate to the actual technological operation of data storage and processing? Cloud computing is a currently dominating computation and data-processing model on which most social networks and online services are based. Data centres represent the core of cloud infrastructure and one of the fastest-growing industries worldwide. Their energy consumption represents over three percent of global electricity usage and is growing at a rate of fourteen percent annually. This energy-consuming heavy industry, however, is still not in the public eye. Media reports and IT companies represent the cloud, and the Internet more generally, as being natural, immaterial, and fluid—think of the language regularly used for describing such technologies and the metaphors of the “cloud,” “data streams,” or “IT ecologies” (see Blum; Hogan). Such images are supported and instrumentalized by IT companies in marketing campaigns that often present the cloud and data centres as sustainable by contrasting them with “older” and ”dirtier” industries. Dematerialized perceptions of the cloud are grounded in a specific relation between the cloud as a (virtual) network of data processing and data centres as the cloud’s single infrastructural site. While data centres are located in concrete geographic places within national territories, their technological operations can range far beyond those territories and legislative boundaries. The cloud and its data centres thus entertain a relationship of “intimacy at a distance” by forming part of each other while being differently situated in spatial terms at the same time (see Rossiter). The cloud’s materialities, its social effects, and the environmental impact of the data centre industry are unevenly distributed across spatial dimensions. This arrangement supports dematerialized perceptions of the cloud. Users of cloud services, for instance, located far away from the actual storages of their data, may remain unaware of the cloud’s material existence and its resource needs. Moving beyond the cloud’s technological logics, in The Prehistory of the Cloud Tung-Hui Hu explains that such dematerialized metaphoric representations are not only instrumental for popular descriptions but actually form a major part of the cloud itself, which “has never really been about computing because computing is just one part of a larger cultural fantasy” (145). According to Hu, the business model of the cloud is based on popular visions of the Internet as a virtual, borderless, and open space, and on imaginaries of an all-embracing connectivity envisioned to be inevitable for our society’s future development. As has been noted by various scholars, such dematerialized images of the cloud obscure its infrastructural and industrial materialities as well as its problematic social and environmental consequences, including the enormous electricity and water needs of data centres, the increasing pollution through waste heat, or the low number of job opportunities the cloud industry offers to local communities (see Hogan; Cubitt et. al. ; Gregg; Dourish and Bell). They also incentivize permanent connectivity and data production, necessary for generating Big Data, and hence integral to prevailing IT revenue models. This is one key reason why larger IT companies aim to control the (in)visibility of cloud infrastructure. In a similar vein, Facebook presents itself to its users mostly through visualizations of its global virtual connections. Representations of data centres are limited to cleaned-up, science-fiction-style images that are meant to suggest transparency and to evoke fascination for technology without disclosing the actual workings or complications of communication infrastructure (Holt and Vonderau). 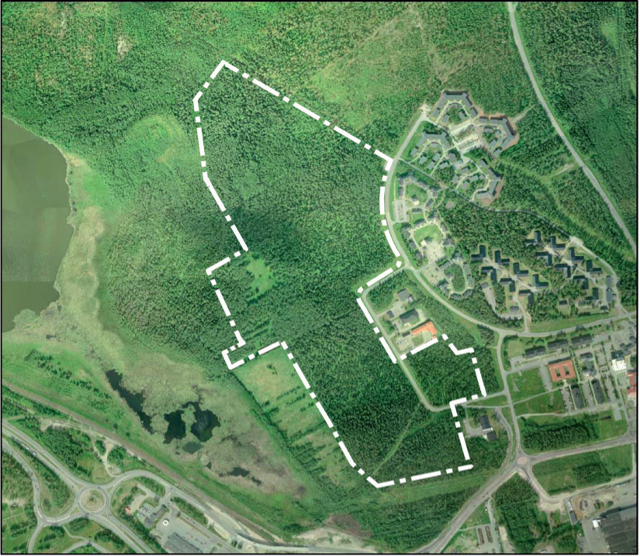 Similar strategies of dematerialization and delocalization can be observed with regard to Luleå’s data centre. Storing the data of more than 800 million global Facebook users, the Luleå data centre does not operate under Facebook’s name but as a subsidiary named Pinnacle Sweden. Given that Facebook’s European headquarters are located in Ireland and that the social network is therefore amenable to Irish legislation, it is questionable from a legal standpoint whether Facebook is even present in Sweden or Luleå at all. Questions of corporate invisibility extend beyond legal issues and also include, among others, the data centre’s outside appearance. The Luleå building resembles a large white box; no sounds or sights give an indication of the industry-scale data-storage processes going on inside. No Facebook logos or street signs are to be found, apart from a few small flags within the fenced territory itself or the Facebook bikes used by employees and construction workers for travelling the enormous area at Luleå’s Datavägen (Data Street) [Fig. 4]. Despite the data centre’s extraordinary scale and technological complexity, its representatives are reluctant to acknowledge the importance of this infrastructural site. The data centre’s manager Joel Kjellgren, for instance, regularly stresses in public talks that even a complete data centre outage would not impede Facebook’s functionality and would remain unnoticed by its users. While it is doubtful if such a major incident would stay unnoticed—it certainly would cause huge financial losses and have a devastating impact on the company’s image—such statements clearly contribute to Facebook’s strategy of channeling public attention from the local industrial to the global and virtual dimensions of the social network. Facebook thus seems to have little interest in being perceived as industrial or local, apart from its persistent promotion of the Luleå data centre as an environmentally friendly and technologically advanced cloud following Facebook’s turn towards sustainable energy consumption. Contrasting the cloud’s omnipresence and growing importance for today’s society with its infrastructural secrecy and inaccessibility, as well as the data centres’ “ignorant relation to architecture” and the difficulty of “decoding” them in social and cultural terms, architecture theorist Kazys Varnelis has identified data centres’ architectural form as one embodying the cultural conditions of digital capitalism and what Deleuze terms the control society. The case of Luleå’s data centre indeed illustrates IT companies’ power in controlling their infastructural visibility. While ethnographically tracing the everyday processes of infrastructuring, however, the white box of the cloud appears much less solid and not just simply imposed from above. As I show below, the gap that corporate secrecy creates between the global virtual cloud and its local infrastructural sites opens up a relational space within which the cloud is decoded, negotiated, and contested in locally specific ways. Within this space the cloud is reshaped in relation to human and non-human relations and concerns by means of technologies of imagination. Figure 3. Facebook’s first data centre building in Luleå, photographed by author, April 2014. Figure 4. Entrance area of Facebook’s second data centre building, Datavägen 15 (Data Street 15), photographed by author, September 2015. In our conversations, Luleå’s politicians, city planners, architects, ecologists, and other municipal experts emphasized the secrecy that marked the planning process for Facebook’s data centre. During initial meetings, Facebook’s representatives did not mention the name of their company and no business cards were exchanged. Communal experts responsible for the project planning were neither entitled to know their client’s name nor its actual intentions (at least in the early planning phase). The information needed for the planning could only be acquired indirectly, through a group of contact persons, making the planning process even more complicated. Only the project’s working title—“Project Gold”—and the high priority it was given by local and national decision makers indicated that large investments were at stake. In addition, Facebook’s water and energy needs were much higher than for other industrial projects. Certain standards, such as regulations for noise exposure (caused by the data centre’s 14 diesel generators), did not even exist in Sweden and had to be modelled on regulations in Germany and other countries. Despite all these complications, a detailed city plan—the main document for construction projects in Sweden—had to be completed within only three months instead of the usual one to two years. Facing the extraordinary scale and pace of “Project Gold” and its secrecy, city planners and architects had to be creative, trying to envision the secretive construction object and to imagine it in context of its future local surroundings. In interviews they related, for instance, stories of walking around in the city in an attempt to imagine the planned building, comparing it with other industrial buildings and wondering about its magnitude (Interview, October 2014). In the early phase of its infrastructuring, the cloud (and the data centre as its specific local form) thus could neither be determined by local experts as an objectively existing material entity nor be easily grasped subjectively. Instead, the cloud was experienced and became visible in the sense proposed by Tim Ingold: as an assemblage of “active materials” that constantly emerge and transform through practices of planning, calculation, and imagination (429). Facebook’s corporate strategies, aiming to establish a certain regime or order of infrastructural visibility for the social network, simultaneously created disorder when it came to city planning and perceptions of Luleå’s built environments. The usual planning routines and existing expertise could not be easily applied to this new project and new approaches had to be invented. In this particular situation, technologies of imagination—such as comparisons of the new industry to existing industrial sites and imagining its buildings in relation to local environments—became instrumental for the project’s successful implementation. 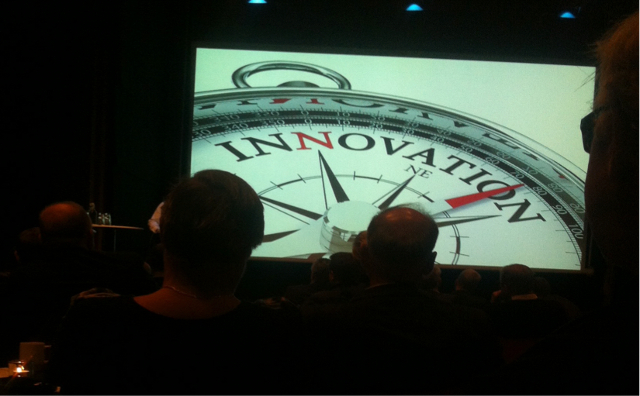 Such technologies also opened up new ways for envisioning and shaping the future of the region. Figure 5. Facebook’s Swedish cloud, seen from above. Buildings to the right include student dormitories and Luleå’s Science Park. (Source: Genomförandebeskrivning/The Description of Implementation, Luleå Municipality 2011). Figure 6. This drawing shows how Facebook’s data centre (the thin line above the trees) was expected to be visible after completion, thus illustrating the cloud’s peculiar infrastructural (in)visibility. (Source: Miljökonsekvensbeskrivning/Description of Environmental Consequences, Luleå Municipality 2011). The secrecy surrounding “Project Gold” and the abstractness of its scale and scope provoked euphoric visions among Norrbotten’s experts and authorities: a new industrial era of economic prosperity, new urban cultures, and urban subjectivities. As my interlocutors related, such expectations allowed for unique solidarity among all authorities involved, transforming an extraordinary complex planning process into a “simple calculation,” as difficulties and hardships such as long overtime hours or internal conflicts could be weighed against the project’s expected gains for the city of Luleå and the Norrbotten region. 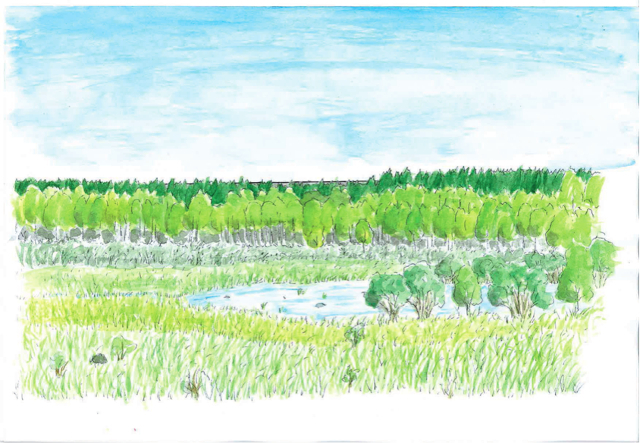 This collective anticipation and belief in the positive impact of a new industry was especially fostered by local decision makers and business developers, as it helped acceptance of the client’s pace of demands and redirected public attention away from the project’s enormous energy and water needs, as well as from its possibly negative impact on a nearby nature reserve. Expectations of a new industrial and urban era, however, also related to personal aspirations among many of the involved actors to change the burdened image of Luleå as a peripheral “steel city” in order to enable cultural diversity and social change. My male interlocutors, for instance, specifically stressed suffering from the traditional dominance of steel, mining, forest, and other extractive industries in this region. These industries not only represented the only opportunities for male workers for decades, but also contributed to the establishment of a specific type of unskilled masculinity, epitomized by the stereotypical image of a dirty, muscular steel worker. These interlocutors expected industrial change to bring about both different job opportunities and cultural and bodily diversity. Other respondents also emphasized being tired of Luleå’s burdened image as Sweden’s steel city. They even found it unfair that this image of the past kept dominating how the city was perceived by national authorities and the country’s Southern regions, even after the steel industry ceased to be the biggest employer. Accordingly, they hoped that industrial development and its promise of a new era would free the city from its past and introduce a future-oriented temporality. As Anna Tsing notes, however, future scenarios and visions represent fragile social orders that are always “almost-but-not-quite-there” (336). Establishing and maintaining such orders is therefore never trouble free. As my interlocutors reported, before Facebook’s plans finally became official, local authorities were in constant fear that “Project Gold” could still be stopped, since their secretive client was known to negotiate simultaneously with other regions in the country and reacted sensitively to even the smallest restrictions of its interests. A technical project coordinator, for instance, recounted waiting months before a first signature was given, documenting that the project would actually be realized and that the client eventually would order to start cutting trees at the planned construction site. The fear of losing an unprecedented investment and expected future benefits led Luleå’s authorities to various compromises. Local city planners told me of accepting the unfavourably stretched data centre building shape even though it resembled a wall separating the city from a nearby natural reserve. The city even signed an “unusual agreement,” as a representative of Luleå’s administration acknowledged, that promised Facebook huge amounts of drinking water, exceeding the common official norm and only to be harmonized with Swedish law by help of legal trickery (Interview, September 2015). This extraordinary effort to serve a powerful client and its technologies did not end with the data centre’s actual implementation. During my visits to Luleå in 2014–2015, municipal representatives were still eager to remain in a “constant mode of selling,” as my interlocutors called it, to secure investments and an anticipated future. Indeed, infrastructures are simultaneously embedded within local social structures while serving as structural mechanisms in themselves (Dourish and Bell 28). In the course of the cloud’s infrastructural implementation, the work modes and visions of Luleå’s municipality regarding urban and regional futures were restructured. While the cloud was shaped and experienced through locally specific infrastructuring processes and relations, its local manifestations also were perceived as marking the beginning of a new urban and regional development. Such local perceptions also related to historical horizons of meaning and to experiences of Norrbotten as an exploited region. The long-awaited opening of Facebook’s data centre in the summer of 2013 triggered new visions and expectations among locals. A Luleå Business Agency representative explains: “If five or six years ago I would have gone down the street and told people that five years from now we would have billions in investments and a giant storehouse for everyone’s holiday pictures, nobody would have believed me. They probably would have thought I was crazy, would have locked me into a basement and thrown the key away” (Interview, October 2014). In this interviewee’s opinion, the opening of the Facebook data centre also made regular citizens come to believe that a change was imminent, that Luleå would be transformed from a key site of national steel production into a global node of IT competence. Such expectations were quickly integrated into regional and business development programs, such as The Strategy for the Development of Norrbotten into a Leading Region for Climate Smart Data Centers (Granberg), which described the region as a “paperless society,” freed from the materialities identified with traditional extractive industries. Regardless of how realistic such strategies were, they expressed the attempt to rebrand the city, the region, and Sweden as a cool and therefore ideal infrastructural site, a commando post of the global cloud. The Node Pole, a newly established semipublic company, was a key actor that managed this re-branding process and served as facilitator between private businesses and the state, lobbying for the data centre industry’s interests, promoting this industry in local and national media, and presenting Northern Sweden at international industrial fairs or conferences. The Node Pole included business developers as well as IT and energy experts who took the role of liaison between city planners and the client during the secretive data centre planning phase. Parallel to their engagement with the Facebook project, these experts gathered a pool of expertise provided by regional and international companies that were interested in selling their construction, consultancy, technology recycling, and other services to the data centre industry. In collaboration with Luleå and other nearby cities, it started offering to sell land for potential data centre sites, promoting scenarios of new industrial regional futures in local media and public presentations. Facilitating successful and fast technological solutions, the Node Pole also provided the regional development discourse with ideas of “remote intimacies”—new spatial frames for regional development that were related to the potentially global territoriality of data processing. This encouraged regional decision makers to think about the region and the city not only as a part of a national state but as a part of the border-crossing geographies of the cloud. The fact that the regional electricity grid had been connected to global cloud infrastructure because of Facebook’s data centre was depicted in the media as an actual relocation of Norrbotten and Luleå from Sweden’s periphery to the centre of the global cloud. The Node Pole consequently became a widely promoted brand name for an imagined space of post-extractive modernity: a glocal geography of IT competence and investment possibilities. On the one hand, these promotional narratives merely perpetuated a hegemonic perception of the Northern periphery that over centuries legitimized Norrbotten’s exploitation by Sweden’s national centre. Such narratives presented the scarcely populated but resource-rich region as an empty space, free from local requirements or frictions—a cornucopia of natural resources, technological innovations, and security arrangements offering an abundance of cheap hydro power and limitless economic expansion far away from urban conflicts and the public eye (Sörlin, “Introduction: Polar Extentions”). A representative of Luleå’s neighbouring town, Boden, described its potential as a data-storage site: “Boden is the most boring place in the world for people but it is great for servers” (Interview, April 2015). On the other hand, however, these narratives also empowered the region vis-à-vis the national centres by envisioning Norrbotten as an independent actor within a global data economy and by stating its proximity to major IT hubs such as Frankfurt or London, based on comparable regional fibre cable networks, high-speed internet traffic, or the availability of international flight connections. Calculations and graphs developed for branding purposes compared the average temperature in Luleå with temperatures in London, Frankfurt, or New York in order to underline the competitiveness of Norrbotten’s cloud infrastructure. The idea of regional emancipation from the state was also supported by the expectation that server farms would be the first industry to make local use of natural resources such as the Arctic cold and hydro energy without having to export these resources to Sweden’s South, as had been the case with the traditional heavy industries in this region. In sum, “relocating” Norrbotten and Luleå to the cloud and reconfiguring these territories within the imagined geographies of the Node Pole transformed the usual understanding of centre and periphery and re-evaluated the region and the city in geopolitical terms as an IT hub. The new industrial development changed the local actors’ understanding of the city’s territoriality as flexible and determined by spatial and temporal regimes of data operation and not just by national borders (Rossiter). It was still to be determined, however, what the region and the city actually had to offer on the global IT market. Figure 7. An informational event for regional business representatives promoting participation in data centre development, organized by the Node Pole and the Luleå Business Agency, Luleå, October 2014. Photographed by author. While for regional politicians and individual citizens cloud implementation meant opening up new visions for Norrbotten’s future, for local and national business developers the cloud became palpable first of all as a new market. In the context of the imaginary space of the Node Pole, the Arctic cold—a former symbol of Norrbotten’s and Luleå’s peripheral geographic position—now appeared as a natural resource. As Richardson and Weszkalnys note, being socially produced, natural resources come into being not only as a result of technical inventions and physical productions, but also through acts of epistemological and ontological creativity (129). To reshape the Arctic cold as a valuable resource and new commodity, technologies of imagination were needed in order to re-conceptualize the local cold in relation to global data flows. In order to be commodified, the cold had to be packaged with other local benefits into a specific regional product. Packaging, according to representatives of Luleå’s Business Agency, turned out to be particularly challenging as it demanded bringing things together that had previously been seen as unrelated. As they later would acknowledge, it was not clear yet what they were actually selling when first knocking at Facebook’s and Google’s doors during early visits to the United States in 2009: “We understood that we had a fair chance to sell cheap electricity and our cold climate, and we had plenty of space and also intellectual capacity, so we tried to pack those things together. Admittedly, we were packing something which we didn’t own. We did not own the land, we did not own the climate, and we neither owned electricity. But we still tried to come up with a workable USP—a unique sales proposition” (Interview, November 2014). Eventually, business developers came to package the Arctic cold with Norrbotten’s cheap electricity prices and Luleå’s exceptionally stable infrastructural grid, framing these and other local advantages with the help of a promotional narrative that pictured Sweden’s North as a place of technological modernity (Sörlin, “Rituals and Resources of Natural History”). The abundance of “empty space”—a symbol for Luleå’s and Norrbotten’s peripheral position and demographic problems—was reinterpreted as a guarantee for unlimited and undisturbed industrial growth. Using the Arctic cold for cooling global data in this context not only meant creating a technological innovation but also a specific local service for “getting more from less.” The revaluation of the Arctic cold thus enabled business developers to realize their economic plans in attracting IT industry investments and confirmed Luleå’s citizens’ anticipation of Norrbotten entering a post-extractive era. The Node Pole’s promotional narratives depicted this process of resource-making and product-shaping as an affective bodily experience. The above mentioned video Journey to the Node Pole, for instance, shows Luleå’s citizens enjoying leisure activities on the snow, stating that while snow was formerly associated with freezing, snow and cold now are a good thing as they can be used for cooling the world’s data. Positive perceptions of the new industry not only rested upon an enthusiasm for technological innovation but also on Luleå’s particular history. Over more than a century, Luleå and Norrbotten were exploited through resource extraction and regularly struggled with demographic problems caused by the vagaries of the national steel and mining industries. Since the beginning of the 20th century, when dams for hydro energy production and the electricity supply of mines and steel mills were built at Lule river with many locals being forced to move from their homes, national industrial projects had a major impact on the region’s economic and demographic development. One prominent example of this impact is the currently ongoing relocation of the 18,000 inhabitants of Norrbotten’s city of Kiruna due to the fact that the entire town is slowly plummeting into a sinkhole caused by a former iron ore mine. In this historical context, it is little surprise that the transformation of the Arctic cold into a new natural resource—not meant for export, but for attracting investment—was greeted with enthusiasm by both local entrepreneurs and citizens. The cloud industry’s enormous electricity and water needs and waste heat pollution were barely discussed and seemed harmless compared to the environmental damage caused by traditional extractive industries: as a local journalist explains, “this city is accustomed to pollution and environmental damages through the SSAB steel mill. Note that Luleå’s most popular living area is located just in front of the mill. And in the case of the data centre, there is not even a chimney on top of it, and it’s just about electricity consumption” (Interview, November 2014). The making of new resources is a relational process involving different actors as stakeholders. As Richardson and Weszakalnys observe, new resources can generate financial profits or losses, strengthen or weaken nation states, cause environmental damage and change local modes of living (10). Shaping the Arctic cold as a new resource of the digital era and packaging that resource into a unique local product empowered the Norrbotten region as an independent economic actor by relating the Arctic cold to global data streams. At the same time, however, it obscured the environmental effects of the cloud and the difficulty of actually proving that the cloud had positive future effects—a claim that could be easily contested given the lack of new jobs for locals, for instance. The economy of anticipation was, however, certainly beneficial for Facebook, since it mobilized the local community around the promise of change and an imagined post-extractive future, making the most efficient, fast, and frictionless implementation of the cloud possible. This article has analyzed the implementation of the cloud in Sweden’s North as a form of “infrastructuring”—a process of relating, anticipating, networking, and negotiating among technologies, actors, institutions, and stocks of knowledge through different geographical locations and social contexts. The article has traced the diverse ways that cloud infrastructural forms disconnect from their technical functionality and link to multiply located actors and their concerns enabling social change (see Larkin). The making of cloud infrastructure was described against the backdrop of a global economy of anticipation in relation to which the past and present of the involved communities were negotiated and formed. Infrastructuring here is not a linear top-down movement, but a historically and culturally situated and friction-laden process, facilitated by means of imagination and anticipation. Technologies of imagination—understood as knowledge production practices of bringing together seemingly unrelated things—were identified as an inherent part of infrastructuring. This ethnographic perspective allows the seemingly virtual global data flows to be reconnected with their material and political channels, and renders their multiple local entanglements visible. It shows how the cloud’s material forms and modes of visibility are contested in culturally specific ways with social and environmental effects (see Tsing). In contrast to Facebook’s corporate strategies of obscuring its infrastructural materialities, it was clearly never in the interest of the Swedish state, the city, or the region of Norrbotten to hide the social network’s Luleå infrastructure. Rather, local actors were interested in publicly claiming Facebook’s local presence and interpreting it as a meaningful and lasting form of belonging. By connecting Facebook’s infrastructure to the national energy grid and by relating the data centre project to the regional interests and aspirations of a post-extractive future, the cloud was integrated into national territories and local narratives. Cloud technologies provided Luleå not only with technological connections to a border-crossing IT economy, but also with new narratives and spatial frames that allowed a reimagining of the future of the city and the region beyond the Swedish state in relation to the glocal geographies of data processing. As a result, the city of Luleå and the region of Norrbotten were reframed as a hub of IT competence within the imaginary space of the Node Pole. Such future scenarios were, however, not simply determined by corporate visions of the cloud or by regional actors’ technological dreams, but rooted in particular local experiences and aspirations that had developed historically with regard to Luleå as a geographically peripheral industry town and Norrbotten as a traditionally exploited region. Following local processes of infrastructuring sheds light on the relation between the urban centres of digital capitalism and its infrastructural peripheries, between virtual data flows and their political and material channels, and between transnational IT companies and local communities. The relation that I have described here as “intimacy at a distance” demonstrates the mutual dependencies between the virtual and material and the local and global dimensions of the cloud, as well as between the different stakeholders involved in processes of infrastructuring. This perspective also demonstrates the uneven distribution of visibility, agency, and power within these glocal geographies of the cloud. Although the introduction of the data centre industry and cloud infrastructure in Luleå empowers this peripheral city vis-à-vis Sweden’s national centres, by turning Luleå into an independent actor within a global data economy the costs of this empowerment are high and its future uncertain. Local authorities, experts, and even regular citizens in Luleå unite in their efforts to imagine a post-extractive future. However, technologies of imagination that reconfigure local territories, redefine identities, and shape new subjectivities also obscure the cloud’s actual extractive character and its problematic social and environmental effects, including the data centre’s enormous energy needs, waste heat, or its disappointing effects on the local labour market. Imaginings and anticipations of a post-extractive future are mainly based on infrastructural promises that are “almost-but-not-quite-there.” Therefore, it is still questionable if locating the cloud is actually advancing Luleå and Norrbotten from the national periphery to the centre of the glocal cloud or if it is just turning them into peripheries of the digital economy: places to which friction-laden materialities and problematic social and natural impacts are being outsourced. Blum, Andrew. Tubes: A Journey to the Center of the Internet. Harper Collins, 2012. Bowker, Geoffrey C., Karen Baker, Florence Millerand, David Ribes. “Toward Information Infrastructure Studies: Ways of Knowing in a Networked Environment.” International Handbook of Internet Research, edited by J. Hunsinger et al., Springer Science+Business Media B.V., 2010, pp. 97–117. Cross, Jamie. Dream Zones. Anticipating Capitalism and Development in India. Pluto Press, 2014. Cubitt, Sean, Robert Hassan, and Ingrid Volkmer. “Does Cloud Computing Have a Silver Lining?” Media, Culture & Society, vol. 33, 2011, pp. 149–158. Deleuze Gilles. “Postscript on the Societies of Control”. October, vol. 59, 1992, pp. 3–7. Dourish, Paul, and Genevieve Bell. Diving a Digital Future: Mess and Mythology in Ubiquitous Computing. MIT Press, 2011. Granberg, Anders. Effekten av Facebooks etablering för Luleå Science Park som regional nod. Luleå: Luleå Science Park, 2014, http://docplayer.se/32308-Effekten-av-facebooks-etablering-for-lulea-science-park-som-regional-nod-foto-cascade-creative-media.html. Accessed 20 February 2017. Government Offices of Sweden. ICT for Everyone: A Digital Agenda for Sweden, 2011, http://www.government.se/sb/d/574/a/181914. Accessed 20 February 2017. Harvey, Penelope. “The Topological Quality of Infrastructural Relation: An Ethnographic Approach.” Theory, Culture & Society, vol. 29, no. 4/5, 2012, pp. 76–92. Hogan, Mél. “Facebook Data Storage center as the Archive’s Underbelly.” Television & New Media, vol. 16, no 1, 2015, pp. 3–18. Holt, Jenniffer, and Patrick Vonderau. “Where the Internet Lives: Data Centers as Cloud Infrastructure.” Signal Traffic. Critical Studies in Media Infrastructures, edited by Lisa Parks and Nicole Starosielski, University of Illinois Press, 2014, pp. 88–114. Hu, Tung-Hui. A Prehistory of the Cloud. MIT Press, 2015. Jensen, Caspar Brun, Brit Ross Winthereik. Monitoring Movements in Development Aid: Recursive Partnerships and Infrastructures. MIT Press, 2013. Larkin, Brian. “The Politics and Poetics of Infrastructure.” Annual Review of Anthropology, vol. 43, 2013, pp. 327–343. Mrázek, Rudolf R. Engineers of Happy Land: Technology and Nationalism in a Colony. Princeton University Press, 2002. Niewöhner, Jörg. “Anthropology of Infrastructures of Society.” International Encyclopedia of the Social & Behavioral Sciences, vol. 12, 2015, pp. 119–125. SienceDirekt, doi: http://www.sciencedirect.com/science/referenceworks/9780080970875. Parks, Lisa. “Technostruggles and the Satellite Dish: A Populist Approach to Infrastructure.” Cultural Technologies: The Shaping of Culture in Media and Society, edited by Göran Bolin, Routledge, 2012, pp. 64–84. Richardson, Tanya, Gisa Weszkalnys. “Introduction: Resource Materialities”. Anthropological Quarterly, vol. 87, no.1, 2014, pp. 5–30. Rossiter, Ned. Software, Infrastructure, Labor: A Media Theory of Logistical Nightmares. Routledge, 2016. Sneath, David, Martin Holbraad, Morten Axel Pedersen. “Technologies of the Imagination: Introduction“. Ethnos, vol. 74, no.1, 2009, pp. 5–30. Sörlin, Sverker. “Rituals and Resources of Natural History: The North and the Arctic in Swedish Scientific Nationalism.” Narrating the Arctic: A Cultural History of Nordic Scientific Practices, edited by Michael Bravo and Sverker Sörlin. Science History Publications, 2002, pp. 73–124. —. “Introduction: Polar Extentions—Nordic States and Their Polar Strategies.” Science, Geopolitics and Culture in the Polar Region: Norden Beyond Borders, edited by Sverker Sörlin. Ashgate Publishing, 2013, pp. 1–19. Star, Susan L. “The Ethnography of Infrastructure.” American Behavioral Scientist, vol. 43, no. 3, 1999, pp. 377–391. Starosielski, Nicole. The Undersea Network. Duke University Press, 2015. Volvo Cars. Journey to The Node Pole. https://www.youtube.com/results?search_query=journey+to+the+node+pole. Film. Accessed 20 February 2017. Tsing, Anna. “The Global Situation.” Cultural Anthropology, vol. 15, no.3, 2000, pp. 327–360. Varnelis, Kazys. “Eyes That Do Not See: Tracking the Self in the Age of the Data Center.” Havard Design Magazine, vol. 38, 2014, http://www.harvarddesignmagazine.org/issues/38/eyes-that-do-not-see-trackingthe-self-in-the-age-of-the-data-center. Accessed 20 Februaty 2017. Figure 1: Luleå’s municipal commissioner Karl Petersen, featured in a video promotion for Volvo and the Node Pole www.youtube.com/watch?v=YwqtBJMZJIU. Accessed 20 February 2017. 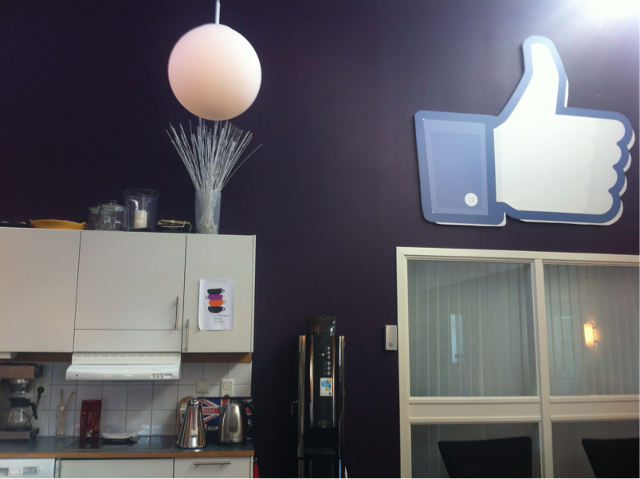 Figure 2: Facebook thumb in the lunch room of Luleå Business Agency, photographed by author, April 2014. 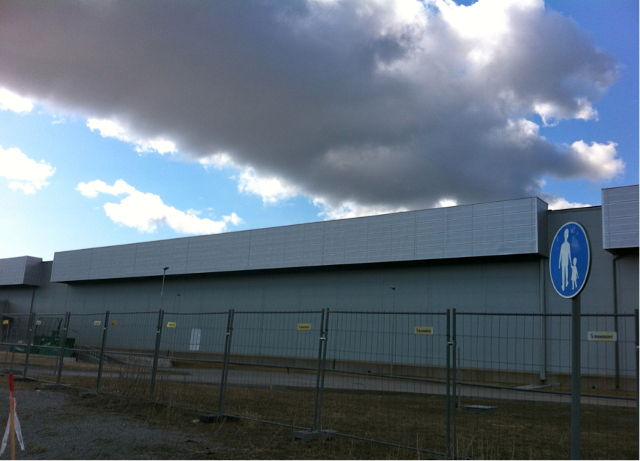 Figure 3: Facebook’s first data centre building in Luleå, photographed by author, April 2014. 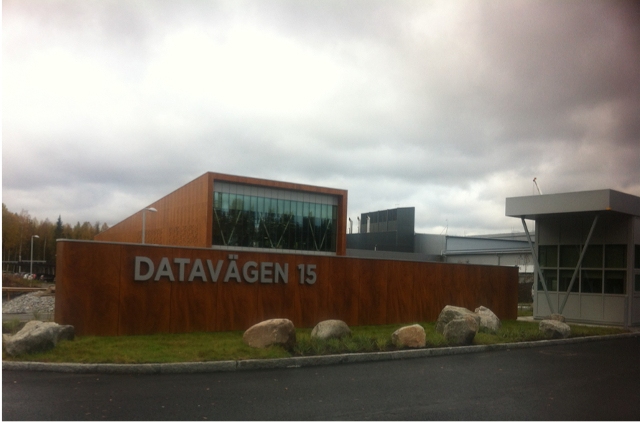 Figure 4: Entrance area of Facebook’s second data centre building, Datavägen 15 (Data Street 15), photographed by author, September 2015. Figure 5: Facebook’s Swedish cloud, seen from above. Buildings to the right include student dormitories and Luleå’s Science Park. Source: Genomförandebeskrivning/The Description of Implementation, Luleå Municipality 2011. Figure 6: This drawing shows how Facebook’s data centre (the thin line above the trees) was expected to be visible after completion, thus illustrating the cloud’s peculiar infrastructural (in)visibility. Source: Miljökonsekvensbeskrivning/Description of Environmental Consequences, Luleå Municipality 2011. Figure 7: An informational event for regional business representatives promoting participation in data centre development, organized by the Node Pole and Luleå Business Agency, Luleå, October 2014. Photographed by author. Luleå is located about 100 kilometres south of the Arctic circle. The city has 45,000 inhabitants and is the capital of Norrbotten, the most northern Swedish province. Norrbotten is the infrastructurally strongest region in the country, traditionally dominated by steel and forest industries and mining. Over the last five to ten years, Luleå experienced strong economic and demographic growth. However, seen from a historical perspective, the city and the region regularly struggled with demographic problems that arose due to its peripheral geographic position and harsh climate as well as the ups and downs of the heavy industries. Facebook’s decision to locate its data centre in Luleå was announced in 2011 and in 2013 the first data centre started operating. As of late 2016, a second data centre building is still under construction and a third building is in the planning phase. Facebook has rejected my inquiries for meetings and did not allow the subcontracted companies to give interviews about their involvement in the Luleå Data Center project. My meetings with Facebook representatives at public events were, accordingly, not informative since they did not provide any other information than that which was covered in the media. However, my interest was focused on regional actors and their experiences. It is questionable if this indeed would be the case. Facebook’s infrastructure is of course redundant, but technical problems of such an extent would cause huge costs and might harm the company’s image. This early project phase covers the time period of 2009 to 2011. Municipal activities during this period included the selling of land and the infrastructural preparation of the construction area; issuing environmental and building permissions; preparing a detailed city plan; and presenting the project to the public. While Facebook’s plans were kept entirely secret in the beginning of that period, municipal experts later learned that the client did not want to reveal the firm’s name even after completion. However, local media spread the news that the client was actually Facebook, confirmed in 2011 when Facebook officially announced its decision to build the data centre in Luleå. After completion, this data centre will contain three server halls, 28,000 square metres each, requiring 120 MW of power. The data centre implementation costs amount to 800 million Swedish Krona (SEK). Established in the course of the Facebook data centre project by Luleå’s municipality and private business, the Node Pole represented first of all a regional brand. In 2016, the company was bought by the Swedish state-owned energy company Vattenfall and the Northern Swedish energy company Skellefteå Kraft, which advanced the Node Pole to a national brand. Facebook’s data centre in Luleå needs one terrawatt of electricity per year, which is comparable to the energy consumption of Sweden’s sixth largest municipality of 146,000 inhabitants.